All throughout his campaign and on the day of his inauguration, Trump said that he would “drain the swamp”. His supporters would chant “Drain the swamp” at his political rallies and some may still do that. It has been exactly a year and 25 days since Trump was sworn in and while he may have drained the swamp, he has created a sewage in its place. The Political Great Whine has created a mock Q&A to best express its view. Enjoy! Swamp or Sewage: What’s the Difference? Politically speaking…none. Both are dark, murky places that contain vile and nasty things. Neither a swamp nor sewage summons an image of fresh, bright, and new beginnings. From Cabinet Secretaries to White House Staff secretaries, Trump has NOT, in his words, “picked the brightest and best people”. Instead he has appointed big campaign donors and Wall Street executives without any public service experience to cabinet positions and has approved the hiring of many people who still lack full security clearances. Then there is that little thing known as nepotism, which is the unfair hiring of friends and family. The federal Anti-Nepotism Law prohibits nepotism in the federal government but Trump is able to avoid violating this law by hiring his family and friends as “advisors” which are not actual federal jobs. If anyone can find a loophole…it is President Trump! Has Trump appointed or hired anyone from the working class? The short answer is…no. Many working class Americans without high school diplomas or college degrees voted for Trump. However and in all fairness, when explaining why he did not consider a poor person to advise on the economy he said, “we need great brilliant minds” and while he loves both rich and poor people, he didn‘t want a poor person in positions like that. He asked if that made sense and the crowd of predominantly working class people cheered. At least working class Americans agree that they are not smart enough to be involved in policies that impact them. Here is the video of Trump explaining his rationale for not hiring “poor people”. Is Trump helping the economy? It depends on where you are in it. According to the Brookings Institution and based on the household employment survey covering December 2017 — the number of net new jobs among Americans without college degrees fell by 215,000 while the number of college graduates with jobs jumped by 305,000. Has Trump managed to drain the swamp like he promised? Yes, he has! The waste that was in the swamp has been drained into a sewage. Trump has indeed managed to get rid of the old political insiders who knew the game. The Trump administration is comprised of a new crop of wealthy elites who once used their money to influence the political insiders they have now replaced. They no longer have to use their own money or stockholders’ money to influence policymakers to meet their interests…they can now use taxpayers’ money to make policies for themselves. Thanks for “listening” to me whine. Hopefully my whining has made you think. 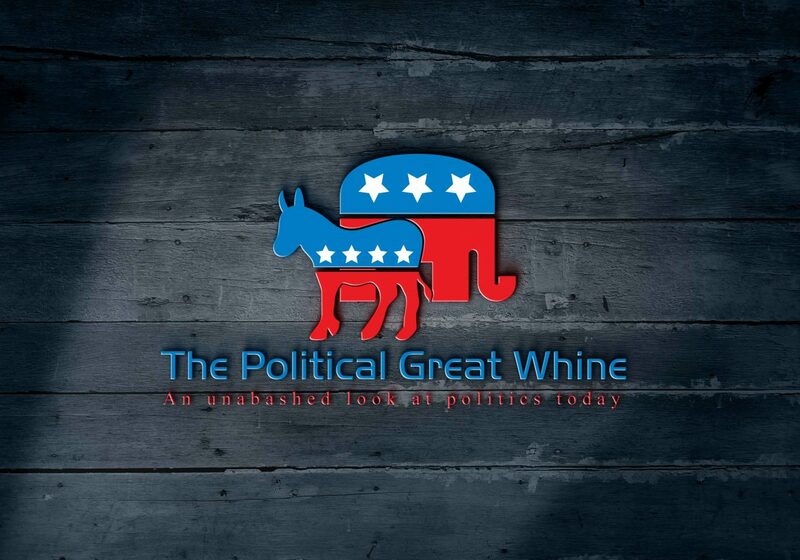 If so, tell your friends/family/colleagues that you heard it through the Political Great Whine! Next postGun Control/Gun Safety: Are Legislators Listening?